Dust, dirt and debris can be more than just a nuisance: it can make you sick. 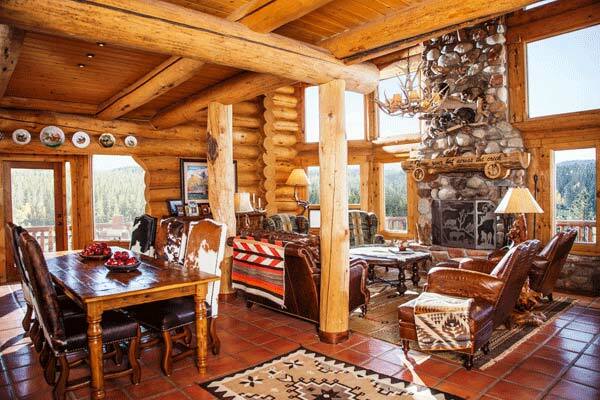 Follow these five tips to a clean and healthy log home. A clean log home is a healthy log home. Let's face it: Nobody likes to clean. And if your log home is your vacation home, this fact rings especially true. However, a home's dust, dirt and debris can be more than just a nuisance: it can make you sick. The U.S. Environmental Protection Agency (EPA) estimates pollution inside the home may be two to 10 times higher than it is outside. This means that keeping your home as clean as possible is serious business. Luckily, there's good news when it comes log home cleanliness — it's probably a lot easier to maintain than a conventional home. While log homes still have their own unique cleaning challenges, the following five tips can help you spend less time cleaning your home and more time enjoying it. One unique concern with log homes is the logs themselves. Wouldn't the crevices between round logs be natural dust catchers? Not necessarily — the secret is in how you finish the logs. Use a clear sealer on the inside and outside of the home after staining the logs. You may only have to feather-dust the ledges about once a year. Chinking is a sealant product specifically used to seal gaps between logs, and it’s the best way to seal a log home from outside dust and particles. If your log home wasn't chinked when it was built and you're worried about outside pollutants infiltrating your home, it might be best to consult a log home professional. If you don't like how chinking looks, you can opt for a clear sealant to bind the logs together and stop the influx of dust. The EPA has warned us that indoor-air quality is the nation's number-one environmental health problem. The solution: air filtration or purification systems. Most systems operate using one or more of five basic principles. They are: negative ionization (electrically charged particles remove contaminants); HEPA filtration (air passes through an incredibly fine filter to remove contaminants); carbon filtration (air is filtered through a carbon filter); germicidal UV (an additional ultraviolet light that can render harmful particles less dangerous); and ozone (a small, healthy dose of ozone is emitted into the home to further purify air). Some products use only one of these technologies to purify the air, whereas others use all five. With so many choices on the market, reviews of different air-purification systems can help you match the best system to your needs. Visit allergyconsumerreview.com for more information. Before buying just any water-filtration system, have your water tested by a local company. Once you determine the problem (if there is any), you can select a filtration system to correct the problem. Most high-quality water filters utilize a carbon-filtration system to block out dozens of harmful chemicals, germs and bacteria. There are also systems that take extra measures, using ultraviolet light to destroy microbes and bacteria that slip through the filter. If your log home happens to be your vacation home, a piece of advice: Before leaving your home unattended, you should spend five minutes opening up the filter and dumping the dirty water out so the filter can air-dry. Then, reinstall the filter the next time you return. It's not good to leave any filter standing in its own stagnant water for long periods of time. 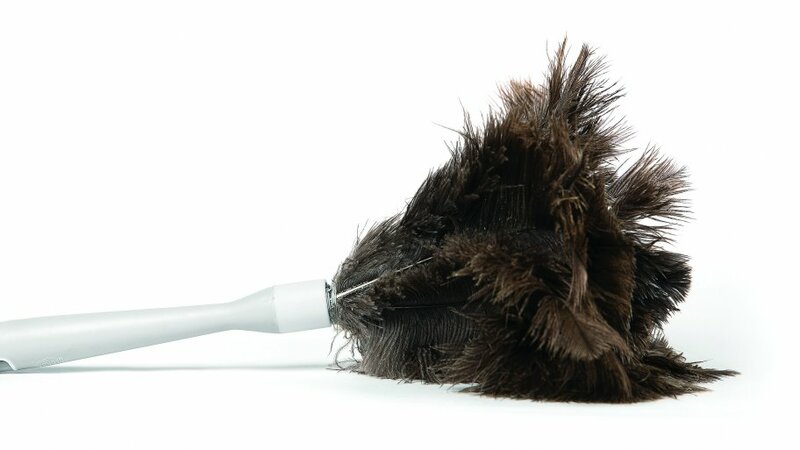 A single vacuum is fine, but to get your house really clean, many people are turning to central-vacuum systems. The deep-cleaning ability of a central vacuum system allows you to vacuum less frequently, freeing up more time to enjoy your home. Also, because of the rural, wooded settings that many log home owners enjoy, the system's ability to remove more dust, pollen and other allergens will make the time you spend in your home more pleasant. Keeping your log home clean and healthy couldn't be easier (short of hiring a live-in maid). And the benefits you'll reap will not only mean you've got a tidy house; it could also mean a clean bill of health for you and your family.